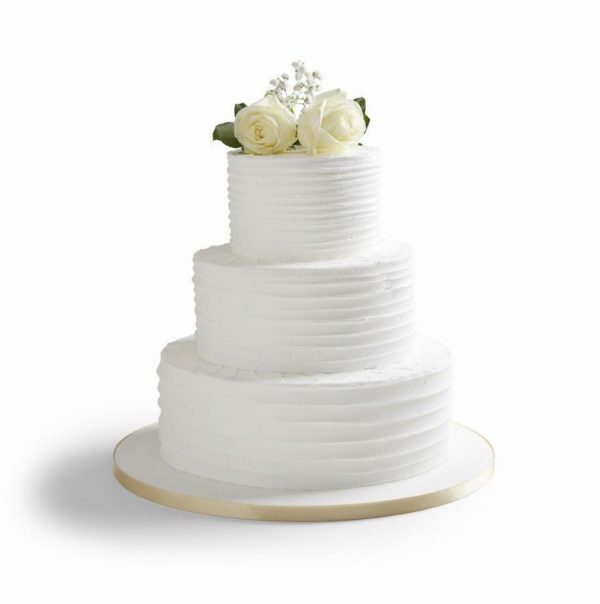 A classic Cakeabration style hand-finished design in sleek, banded frosting. 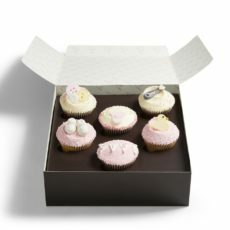 Please note that the flowers pictured are not included. 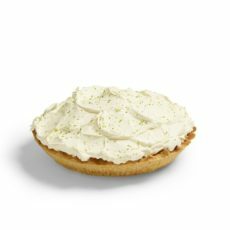 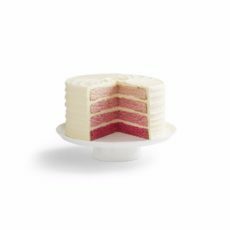 For ingredient information, please follow the link to each sponge’s individual product page! Depending on which sponge you choose, your cake could contain: Eggs, Wheat, Barley**, Milk, Nuts, traces of Peanuts & Soya. 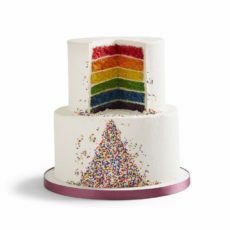 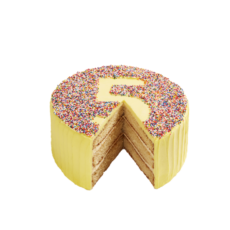 Smoothly frosted layers of sponge with a rainbow sprinkle design on the front edge of each tier. 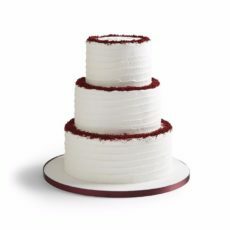 Classic Cakeabration banded-style design with Red Velvet sponge crumbs around the edge of each tier. 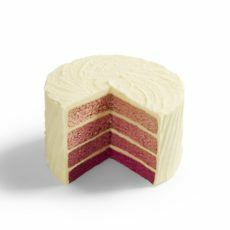 Tiered cake with pink ombre-effect sponge and a classic Cakeabration banded frosting design. 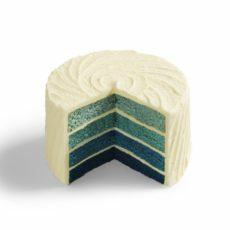 Layers of sponge with classic Cakeabration banded frosting design, decorated by hand with edible white nonpareil sprinkles.